Aztalan Day July 15, 2018. Dedicated volunteers at the trailer - Kathryn Wolfgram and Sylvia Sippel. Bob Birmingham leading a tour. 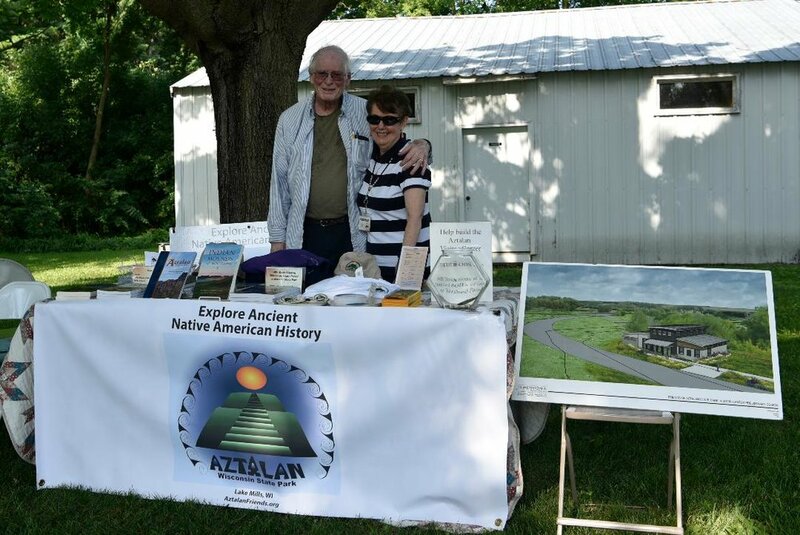 Meanwhile, up at the Lake Mills Aztalan Historical Site … Bob Persons and Nona Christiansen.